The tutorial will be coming soon! 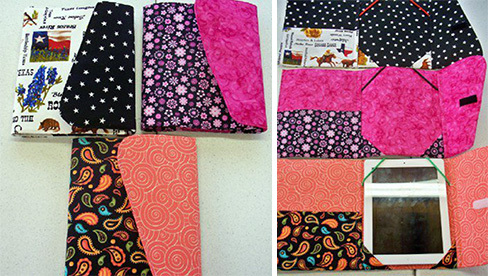 It is a fun Owl Journal Cover featuring some Pellon products! Stay tuned! If anyone is working on a Whistlepig project be sure to EMAIL me some photos!! Bia writes a fantastic called Ms. Elaineous! 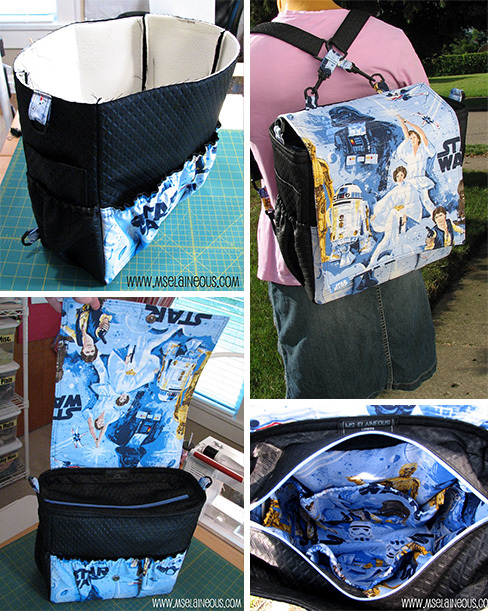 She made up the Classic for Moms Diaper Bag out of Star Wars Fabric! She writes, with great detail, about the products she used, including Scrim Backed Foam, Soft and Stable and Sun N' Shade Fabric. Head over to her post for all the details and more pictures! Here is a little about Bia (Elaine is her alter-ego! ): I believe that homemade is well-made. With some time and practice, I think we all can sew beautiful things. 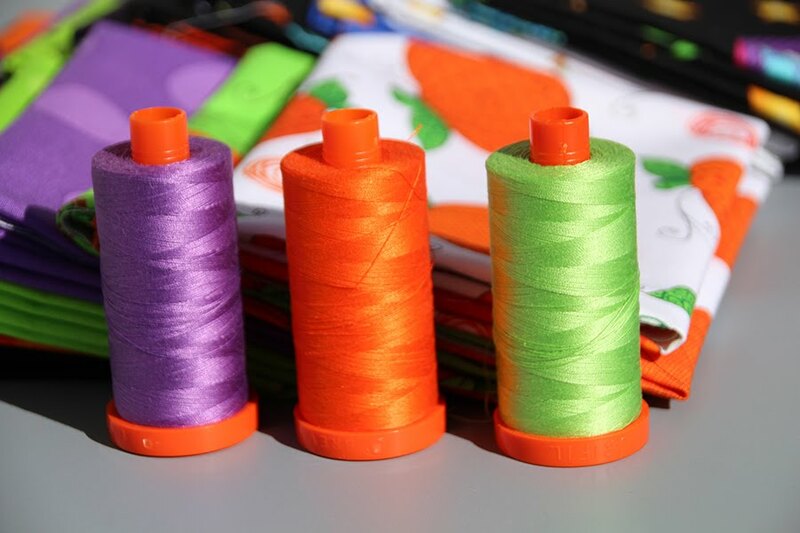 I have been sewing most of my adult life and have gone through many periods of growth and change. In 1995, I bought a house and a new (very old and used) Singer Touch and Sew. My love for sewing really took off. It seems that home ownership kicks me into sewing mode! 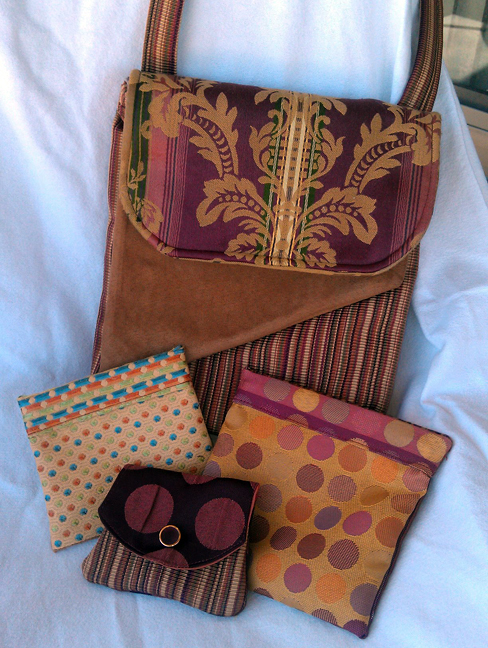 I began designing and selling my own line of purses (called Ms. Elaineous) at boutiques and festivals. It was great fun and supplemented my college professor salary; plus it was more enjoyable than summer teaching! 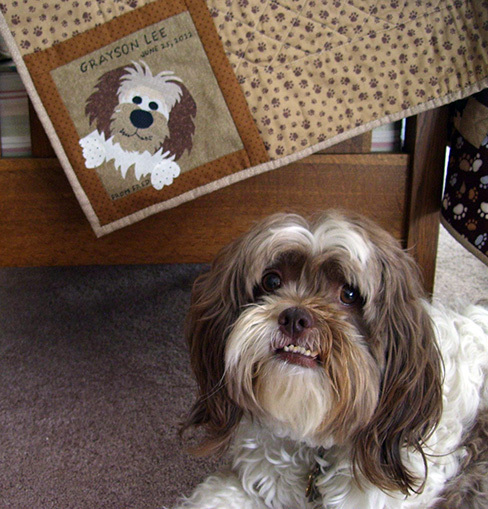 In 2009, I decided to take my two loves - teaching and sewing - and combine them. I became a Trained Sewing Instructor through the Sewing & Craft Alliance and opened a sewing and fiber arts studio in Corning, NY called Sew You Can. For three years I taught men, women, and kids to sew. Although it was a lot of fun, in 2012 I closed up shop and started this blog." Thank you so much for sharing this bag with us Bia! It turned out great! Everyone else, go check out her amazing blog! Thanks for sharing this with us! It put a smile on all our faces! Head over to the Lickity Stitch Designs site for these and more fun embroidery designs! The Enchanted Quilt has made us proud again! This time they have made up the iCozy Palooza iPad Cover pattern! They turned out great! The pattern includes four different flap options and they chose the Asymmetrical one! They look great! 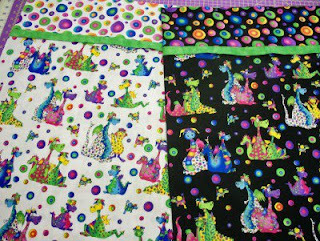 To see what other Whistlepig Patterns the Enchanted Quilt ladies have made up, click HERE and HERE. Thanks for sharing these with us! For the iCozy Palooza pattern in paper or PDF form, click HERE. We have featured Debra on here many times! She is quite the talent! To see her bags click HERE, HERE and HERE or head to her website: PardonMyBag.com! But this time she made up the pillow shams from Mosaique de Mer! They turned out great! For the Mosaique De Mer pattern in PDF or paper form, click HERE. Thanks for sharing these with us Debra! Remember Bronni from a blog post not too long ago?! Well she has been a busy bee! 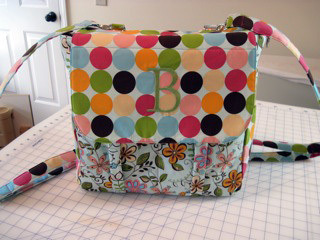 Here are two more Classic For Moms Diaper Bags she made up! We are loving the fabric choice and monogramming! Too cute! Thanks for sharing them Bronni! Keep up the great work! 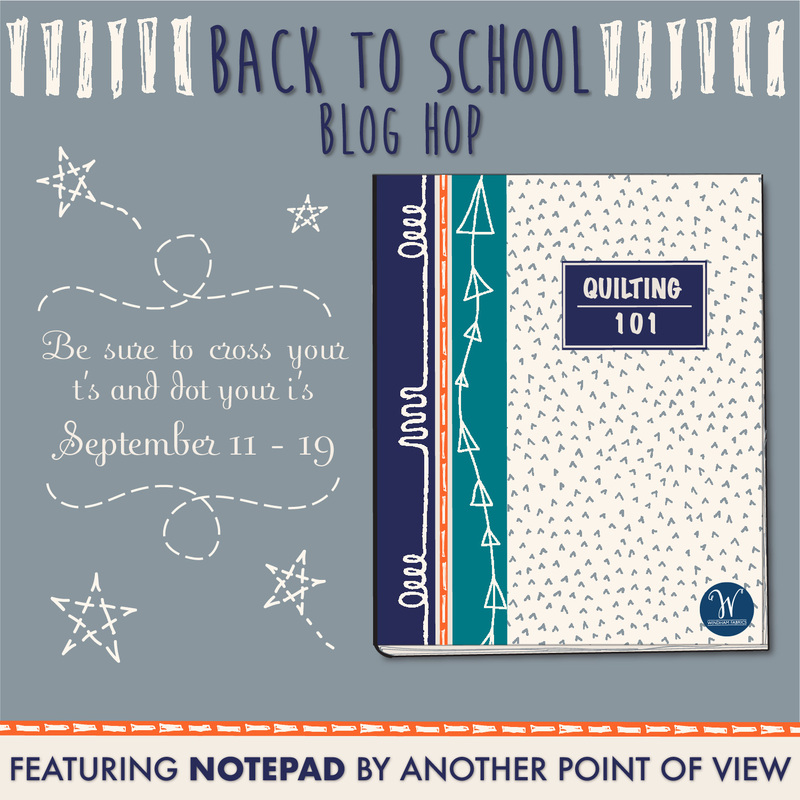 For the Classic For Moms Pattern in paper or PDF form, click HERE! Sherri Croft has done us proud! 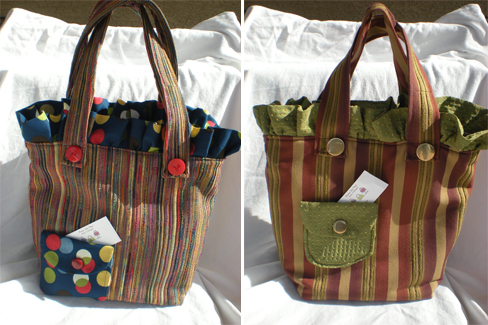 She made up these three stunning Sweet Retreat's Little Sister Totes! They turned out amazing! We love all the different prints she used: large and medium florals, a map and geometric prints! 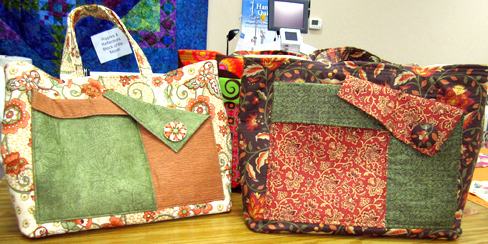 Thanks so much for sharing these great bags with us Sherri! 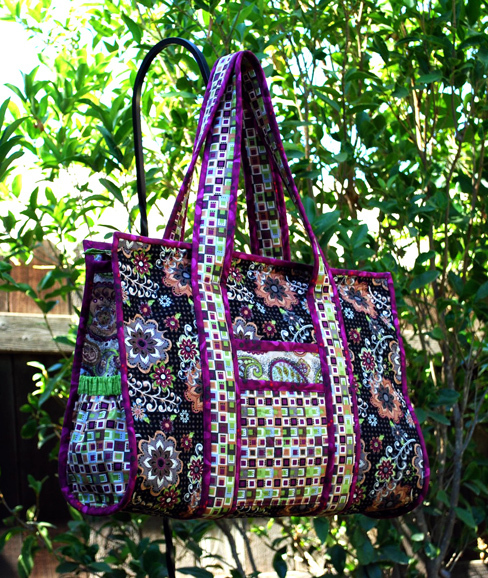 For the Sweet Retreat's Little Sister Tote Bag pattern in PDF or paper form, click HERE. Over my little vacation time I was at my local quilt shop, The Quilt Store, and I came across the entire 'Days or Yore' Fabric line on the shelves! I was fun to see it! If you or your local quilt shop is carrying the line, snap a picture with the line and send it to us! 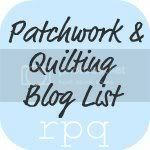 If you don't live near a quilt store, or for some silly reason they aren't going to carry it =/ Here is a list of online stores to buy it from! Thanks to the Quilt Store for letting me take photos! 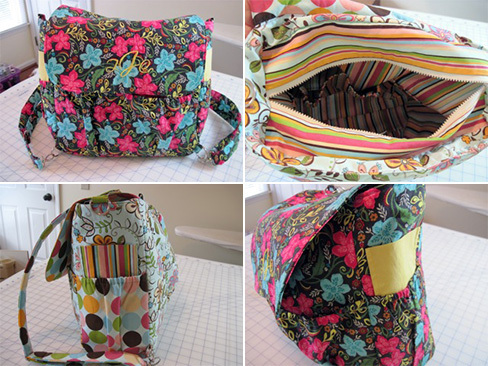 Diane made this fun bag from the pattern and fabric she got at Broadway Quilts Inc. We did a little post on them not too long ago. (They are the lucky ones who live in wine country!!) Click HERE to check it out! She used some fun floral and geometric prints to create this beauty! Thanks for sharing it with us! It turned out great! For the Sweet Retreat's Little Sister pattern in PDF or paper form, click HERE. They are making these up like hot cakes over there at The Calico Mermaid! 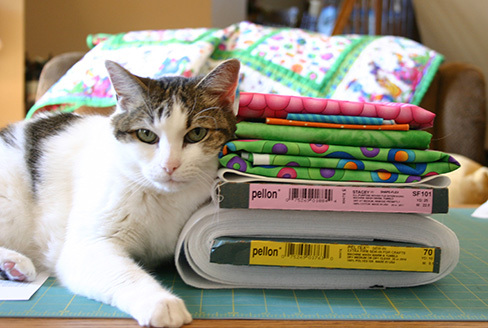 We have heard Lilli is the resident Pockets-A-Plenty bag maker! Here are a few more she and others have made! For the pattern in PDF or paper form, click HERE. To see what else they are up to over there at The Calico Mermaid, click HERE. The Sheep and Chicken bag made us smile! Thanks for sharing these with us! 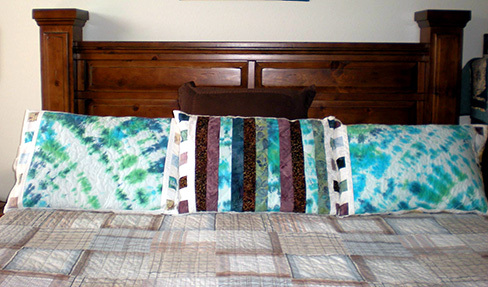 The Enchanted Quilt ladies made up these adorable pillowcases out of "Days of Yore" Fabric! They turned out great! This Texas quilt shop has also made up the Sweet Retreat's Little Sister and the Pockets-A-Plenty! Click HERE to see those pictures. Thanks for sharing these with us! These fun Sweet Retreat's Little Sisters were made up by the bag designer herself, Kristy, for her four nieces! All ranging from the ages 4 to 7, the cupcakes, umbrellas, and flowers are sure to be a hit with the girls! For the Sweet Retreat's Little Sister pattern in PDF or paper form, click HERE. I will be taking the rest of the week off, so no posts for a few days! Everyone enjoy the Forth of July! Debra is a bag-making-machine! For earlier posts and photos of Debra's bags, click HERE and HERE! Debra is making bags out of drapery remnants and selling them on her website: PardonMyBag.com! Go check it out! She does beautiful work! 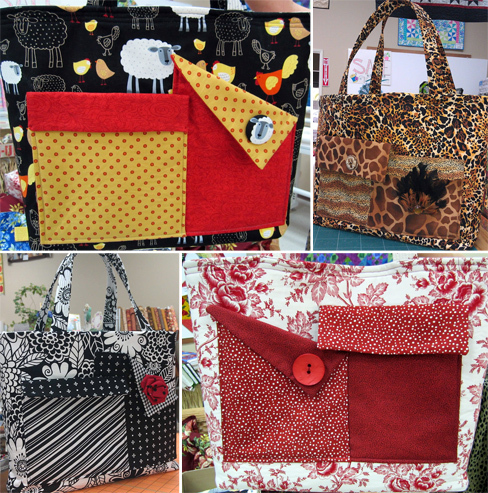 Here are some of newest Whistlepig bags. To the left is the Flip Flap Bag with some fun matching wallets. Below are two Scrap Bag Cuties. They are all adorable! Thanks for sharing with us Debra! Keep up the amazing work! 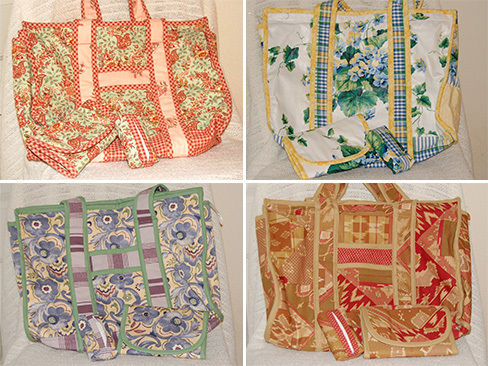 For the Flip Flap bag pattern in PDF or paper form click HERE. For the Scrap Bag Cuties pattern click HERE. Hello Everyone! Welcome to our blog! We hope that you enjoy the updates for our company.